The man convicted of murder for his deadly car attack on counterprotesters at the 2017 white nationalist rally in Charlottesville, Virginia, pleaded guilty to federal hate crime charges on Wednesday in order to dodge a possible death penalty. 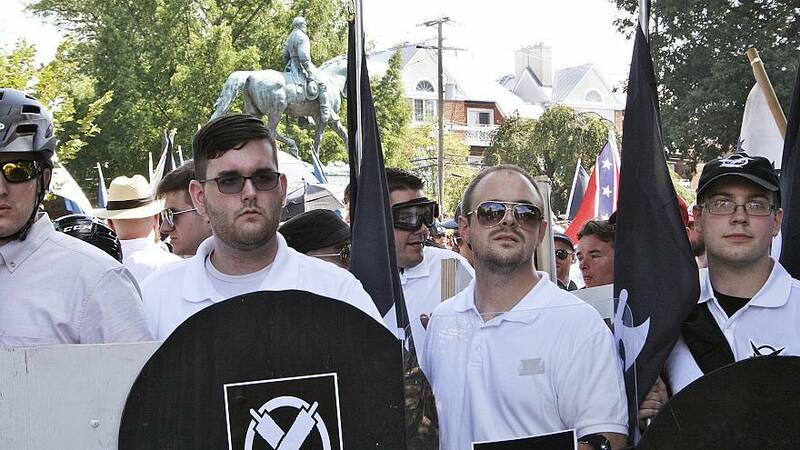 James Alex Fields Jr., 21, from Maumee, Ohio, pleaded guilty to 29 of 30 charges against him, stemming from his deadly car attack in Charlottesville on August 12, 2017. The 30th charge, which included a possible death sentence, was dropped. He's been ordered to return to court on July 3 to be sentenced. The single charge in Count 30 was brought under a provision of the Civil Rights Act of 1968. It had accused Fields of racially motivated violent interference with a federally protected activity — counter protesters using the public streets and sidewalks of Charlottesville — and carried a possible death penalty. Fields was convicted in state court in December for the death of anti-racism activist Heather Heyer, 32, and for injuring dozens more during the infamous United The Right rally. Heyer's mother, Susan Bro, said before Wednesday's hearing that he was hopeful her days in a courtroom would be coming to and end so wouldn't have to listen to "more of the hateful rhetoric." "I'm hoping this can be the end of it," Bro said ahead of Fields' change of plea. Hundreds of white nationalists converged on Charlottesville just before the start of the fall term to protest to famed university's planned removal of a statue of Confederate Gen. Robert E. Lee. More than 30 people were hurt in Fields' car attack. Jurors in his state case found him guilty of murder and recommended he be sentenced to life in prison, plus 419 years. The state judge still hasn't set punishment for Fields, whose is scheduled for July 15.